'MLM' The American Dream Made Nightmare: Donald Trump's criminal 'MLM' associate, Robert Kiyosaki. Donald Trump's criminal 'MLM' associate, Robert Kiyosaki. A while ago, I was sent the above links and asked to post an article about Donald Trump's fellow 'MLM Prosperity Gospel' parasite, Robert Kiyosaki. Even the briefest examination of the available independent evidence, shows that Robert Kiyosaki is a world-class liar and economic alchemist. e.g. He featured in a hidden camera investigative report made by CBC's 'Marketplace' in 2010. This Canadian network television programme revealed that Kiyosaki was being paid to front a highly-organised, advance fee fraud. Victims of this criminal racket were first lured into handing over C$500 to attend a 'Robert Kiyosaki (approved) Rich Dad Real Estate Investment Seminar' where they were subjected to co-ordinated devious techniques of persuasion designed to get them to increase their credit card limits and hand over much larger sums (up to $45 000) supposedly to attend training courses where they would learn Kiyosaki's advanced secrets of obtaining wealth from real estate investment. 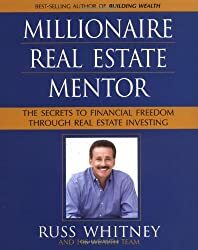 Meanwhile in the adult world of quantifiable reality, there is little evidence (other than that of his own manufacture) that Robert Kiyosaki has ever made any money from investing in real estate. There is, however, a veritable mountain of evidence to prove that Robert Kiyosaki has actually made his money by peddling an unoriginal (if I can do it then you can do it too, rags to riches) fairy story. Classically, Robert Kiyosaki has also duped various celebrity useful-idiots (like Oprah Winfrey). When challenged on camera in 2010, Kiyosaki initially posed as an outraged victim of the media by claiming that the bully-boy tactics uncovered by CBC, were not approved by him, but were not typical.Then (when the interviewer revealed her knowledge of the involvement of a notorious charlatan, Russ Whitney), Kiyosaki suddenly admitted that, in fact, he knew full-well what was going on, but he still posed as an innocent victim. Russ Whitney featured in a New York Times exposé back in 2007. If the above pattern of ongoing major racketeering activity sounds familiar, it's because it is familiar. Thank you for posting this article! I'm glad we are getting more information out there about this fraudster Kiyosaki. I recently was following an elementary school classmate on Facebook and found out he has decided to be another enlightened prophet who helps people find their purpose. I was trying to give him the benefit of the doubt until I saw him link the Robert Kiyosaki Ted X talk and realized he was just another fraudster. He was formerly working for Goldman Sachs but decided that wasn't the life for him, or so he says, and decided to do some reading and soul searching and has started his own seminars to help people succeed. He also offers private sessions for the low cost of $225.00USD/hr!!! What a steal! He offers no guarantee of success and does not offer the mysterious secrets to achieving happiness, but he does promise to give you direction and understanding. I'm sorry to say that my generation is not going to be the cut off for fraud (shocking!). Thank you! This new article complements your previous article perfectly. John T. Reed's investigation of Kiyosaki is a real eye opener. Thank you for posting that also! How can folks be so dumb as to believe that slimeballs like Trump and Kiyosaki want to help them to get rich? Anonymous - That's a good question, because all the evidence demonstrates that Trump and Kiyosaki have never done anything to help anyone (except themselves). As a rule of thumb, everything that Trump and Kiyosaki have claimed about their selfless-efforts to teach folks how to become rich, has been a perfect mirror-image of quantifiable reality. How is it possible that Trump and Kiyosaki have not been prosecuted for, and convicted of, fraud and/or racketeering? Oh the jealousy here is astounding...Stay poor! Anonymous - Your stupidity is astounding, because your puerile scripted-comment merely proves the accuracy of my overall analyis, which says that intellectually-castrated persons controlled by the 'MLM' fairy story (apparently, such as yourself) will arrogantly assume that anyone applying their critical, and evaluative faculties, and who challenges the authenticy of the 'MLM' fairy story, must be poor and is, therefore, jealous.